Iran leader: Having nuclear weapons "a sin"
TEHRAN, Iran - Iran's top leader insisted on Wednesday that his country is not seeking nuclear weapons, saying that holding such arms is a sin as well as "useless, harmful and dangerous"
Supreme Leader Ayatollah Ali Khamenei spoke after meetings with Iranian nuclear scientists and officials. He did not mention a visit this week to Iran by the U.N. nuclear watchdog. The International Atomic Energy Agency team left Tehran on Tuesday without finding any way forward in attempts to persuade Iran to talk about suspected secret work on atomic arms. The West accuses Iran of using its civilian nuclear program as a cover to develop nuclear weapons. Iran denies the charges, saying its program is peaceful and geared toward generating electricity and producing radioisotopes to treat cancer patients. In remarks broadcast on state TV, Khamenei said atomic weapons don't bring power but that Iran's achievements in nuclear technology; including proficiency in the nuclear fuel cycle from extracting uranium ore to producing nuclear fuel; have brought dignity and pride to the nation. 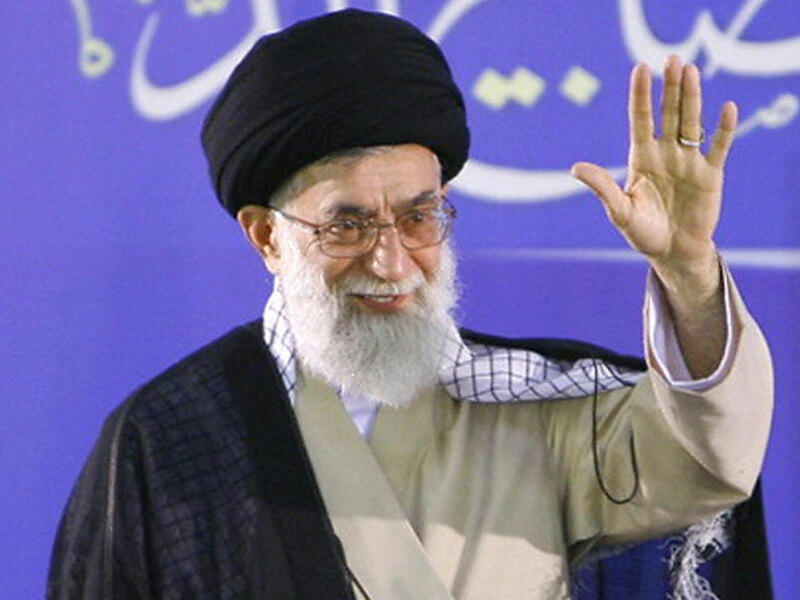 Khamenei, who has final say on all state matter in Iran, also said that Western powers know "we are not seeking nuclear weapons because the Islamic Republic of Iran considers possession of nuclear weapons a sin ... and believes that holding such weapons is useless, harmful and dangerous." "The Islamic Republic of Iran wants to prove to the world that possessing nuclear weapons does not bring power and that might doesn't come from atomic weapons. Might based on nuclear weapons can be defeated and the Iranian nation will do this," he said.